You’ve heard I’m sure the old adage that ‘absence makes the heart grow fonder’? I gained a new appreciation for the phrase Sunday when our hot water tank gave up the fight. In the summer you might be able to get along for a few days without hot water. Not in Idaho. Not in the winter. I managed to find a plumber Sunday willing to commit to getting the job done Monday. He hedged at first, but I wasn’t messing around and told him the job was his if he could come in the morning, otherwise I would have to go somewhere else. He caved, showed up at 9 and was on the way to his next job by 11 or so. Having the cash available to get through this quickly and with only a modest level of pain had me wondering, ‘what do the poor people do’? By poor people, I don’t mean impoverished as it is less likely they own a home. The poor people I was thinking about are those unfortunate souls who for one reason or another have suffered from poor financial planning and never saved up an adequate emergency fund to handle a hot water tank or similar event. As you might expect, such events do occur periodically and at random times. Let’s face the truth; such random events often happen at the worst possible time. So why not be prepared. The answer is simple, “three to six months after-tax income or monthly expenses”. The question is, “how much of an emergency fund should I have”? The hard part is 1) saving the desired amount and 2) leaving it for a true emergency. For example, the desire to buy season ski tickets is not an emergency situation. Having to replace your snow tires in a wintery climate may be. Most people tend to view their credit card as an emergency fund. No doubt you may fix the immediate problem at hand, but in reality you are just kicking the can down the road. The next statement will come due and you will either pay it in full or suffer the abusive interest rates under most credit card contracts. 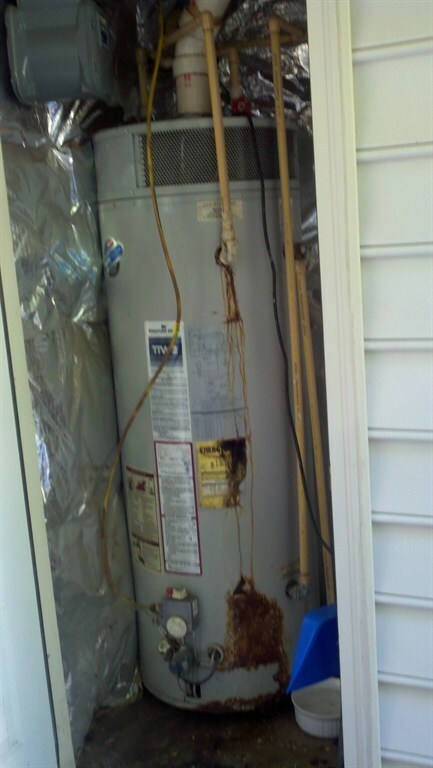 And if you are not careful, you may still be paying off your new hot water heater when it fails again in ten years. It’s a never ending cycle so be prepared, save up an emergency fund and leave it be. This entry was posted in Personal Finance and tagged home, personal finance, stories on December 17, 2013 by Terry.